Software for acquisition and analysis of handwriting from Wacom graphic table, by author Vladimir Kojić. 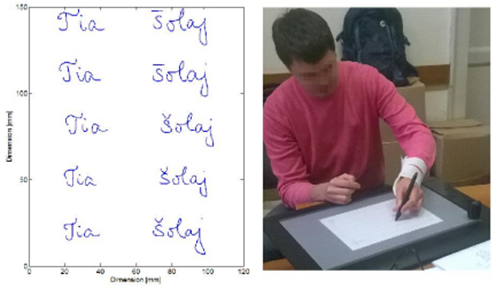 Miler Jerković, V. Kojić, MB Popović, An Information and Reliability Analysis of handwriting Kinematics, 2nd International Conference on Electrical Electronic and Computing Engineering IcETRAN 2015, 2015.
curves, force profiles, spatio-temporal map of gait parameters. Software for parathyroid adenoma quantitative uptake assessment in dual tracer dynamic scintigraphy. 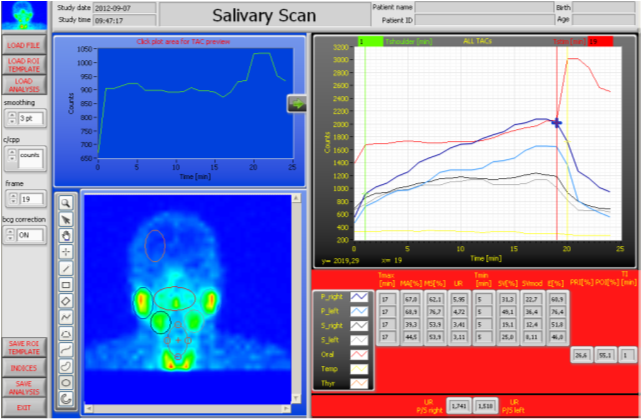 Software for quantitative analysis of dynamic salivary gland scintigraphy. Data Acquisition software for simultaneous monitoring and logging of 16 analog channels by authors Josip Jakić and Jovana Jović. AceLab system was developed in master thesis of Nadica Miljković. 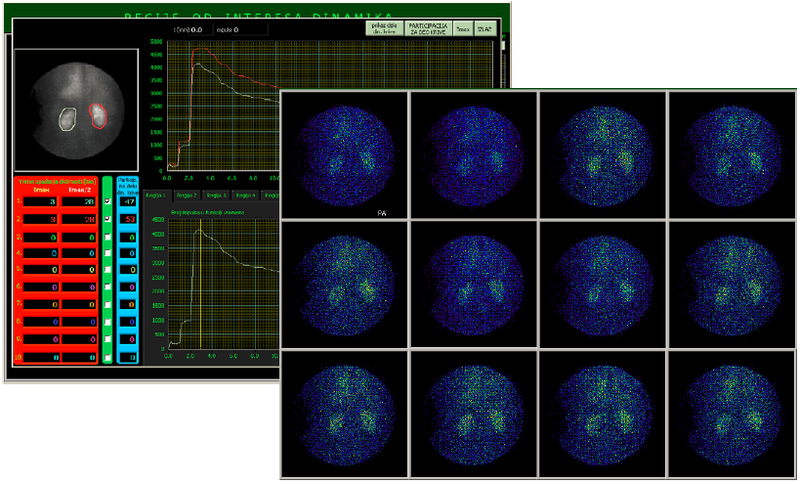 GammaKey software for data acquisition, achieving and processing of gama studies. Detailed specification is here.